Sometimes when you're creating HDR images, whether in Photomatix, Photoshop, or other software, you end up with parts of the photograph that just aren't right. Normally it's something to do with movement - either in the camera, or in your scene. It could be people moving, plants waving in the wind or waves on a sea. 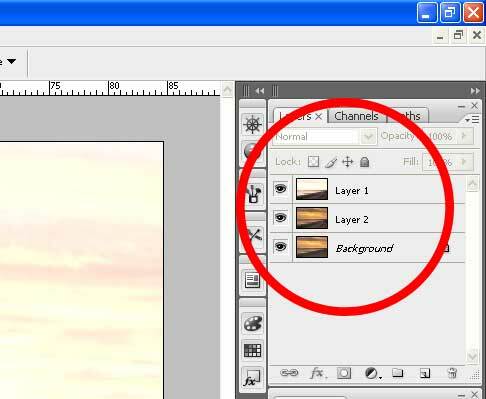 One way you can correct this is by using Photoshop (in this tutorial CS3) to align different versions of the same scene, then easily use masks to reveal (or hide) the parts of the scene that you want to use (or correct). In the above photo, I've used three images. Two tone-mapped HDR's (processed differently in Photomatix), and one of the original exposures. Lets see why. So, I know that I've got something OK here, but it's spread across two images, and that I'll been needing one of the original images to make the people to look ok. Time for Photoshop! The next bit is where we get Photoshop to line up the layers. It's a bit tricky to see in the image, but first control-click each layer in the layers pallet so they're all selected, then go over to "Edit", "Auto-Align Layers", choose "Auto", then see what happens. What Adobe Photoshop CS3 has done is to examine the contents of the different layers, then shuffle them about a bit so they line up almost perfectly. If you click on the eye's on the layer's palette to turn each layer on or off, you should be able to see how well they match up. Brilliant! Next up I'm going to work on the people in the bottom right-hand corner. 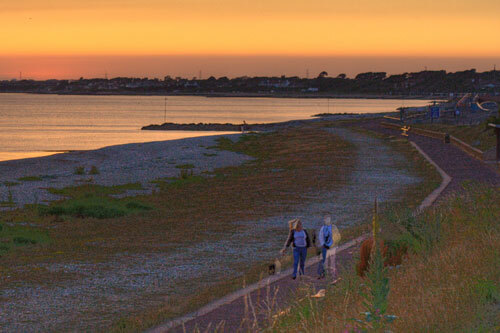 In my image, the top layer in the stack is a "normal" exposure, and it's the only one where the walking couple look ok. Masks are an incredibly useful tool in photoshop. 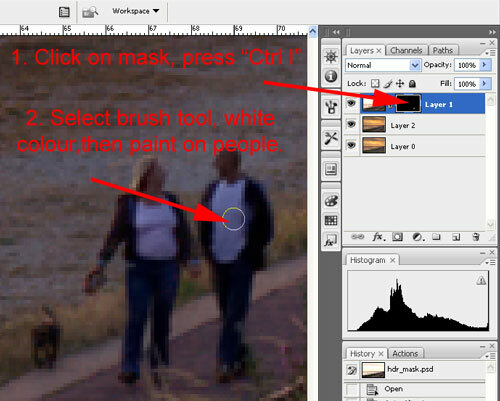 They allow you to hide, or show, different areas of an image by simply painting on the mask with the brush tool. If we started to paint in black on the mask, parts of the photo would disappear, and the image on the lower layer would show through. However, with this shot, all I want to do is have the people from this top layer, so instead of painting out everything else apart from the people, we actually do the reverse! 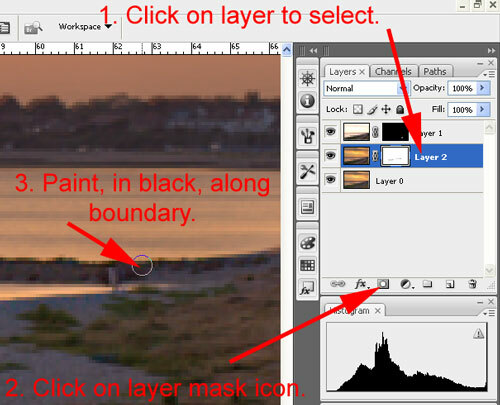 If I click on the layer mask in the layers palette, then press ctrl-I on the keyboard, the mask will invert and turn to black, hiding the layer, revealing the photo underneath. 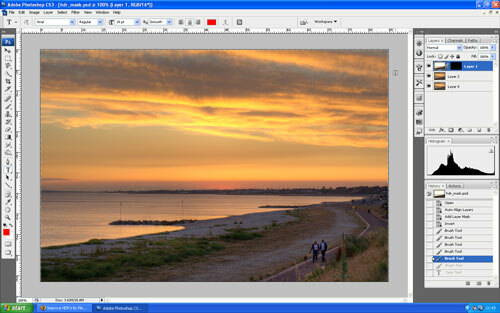 I now select the brush tool from the tools palette, and make sure my foreground colour is white. 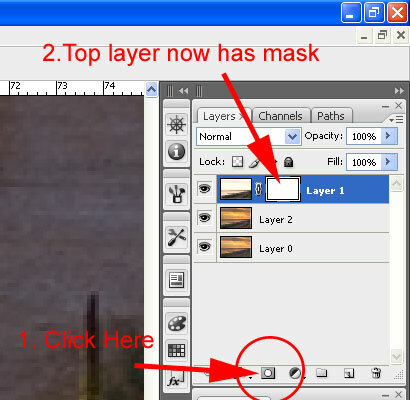 So what I'll do this time is click on the middle layer to select it, then click the mask icon at the bottom on the layers palette. 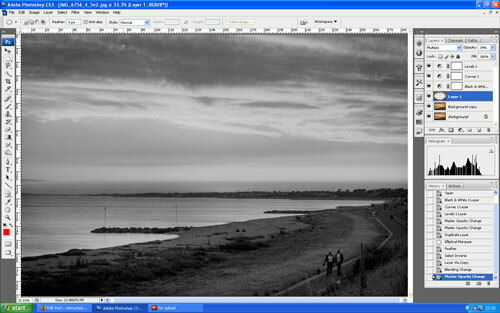 Once the sea / land boundary is sorted, the image is ready for final editing - curves / levels / b&w etc - it can be helpful to click in the top right of the layers palette (not the cross!) and "flatten image". 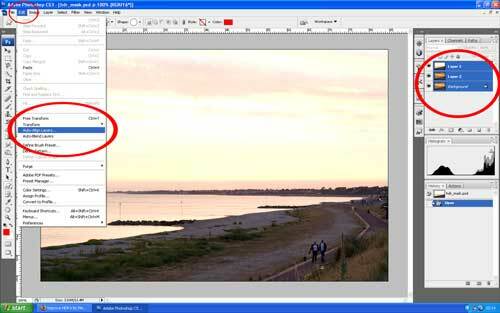 We've used Photoshops superb "Auto-Align Layers" and masks tools to fix a HDR, but you can use it for all sorts of other images. You could use your auto-bracketed shots to create your own HDR, or how about this - use it to make people or moving objects disappear from a scene - I'll let you think about that one. Thanks for this, Rob. Another great tutorial, and as usual you've explained it very clearly and made it look so easy. 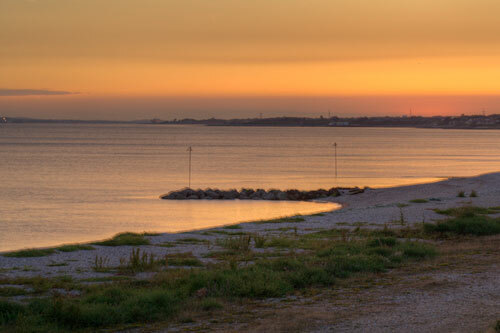 I want to try HDR this weekend (with S5700 on auto-bracket) I can't wait to fail miserably rofl. 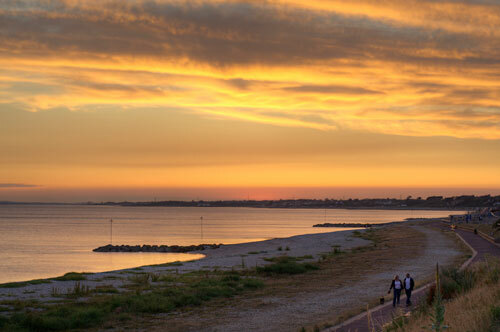 Good luck with HDR, it can reveal stunning details.